Corporate Hangar Space & Building Sites Available-Inquire Here! Anniston Aviation is a full service Fixed Base Operator located at Anniston Regional Airport in Anniston, Alabama. 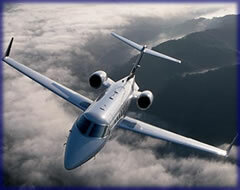 Anniston Aviation offers all of the services to make your visit pleasant and convenient. Our experienced personnel are eager and willing to give you and your aircraft the personal attention you deserve. Any special needs you may have can be met by letting our friendly staff know. First Class, Full Service FBO. Conveniently located near Interstate 20, and several major highways, we are just 80 miles north of Montgomery, 60 miles east of Birmingham, and 90 miles west of Atlanta, Georgia. Located near the base of Cheaha Mountain, Alabama's highest peak, Calhoun County is one of the most beautiful areas in the state. Few areas this size can boast their own Smithsonian Affiliated Museum complex, winery, the state's only fresh dairy, the state's longest rails-to-trails biking route, the nation's densest concentration of federally-protected natural areas in the country, and every outdoor activity imaginable.